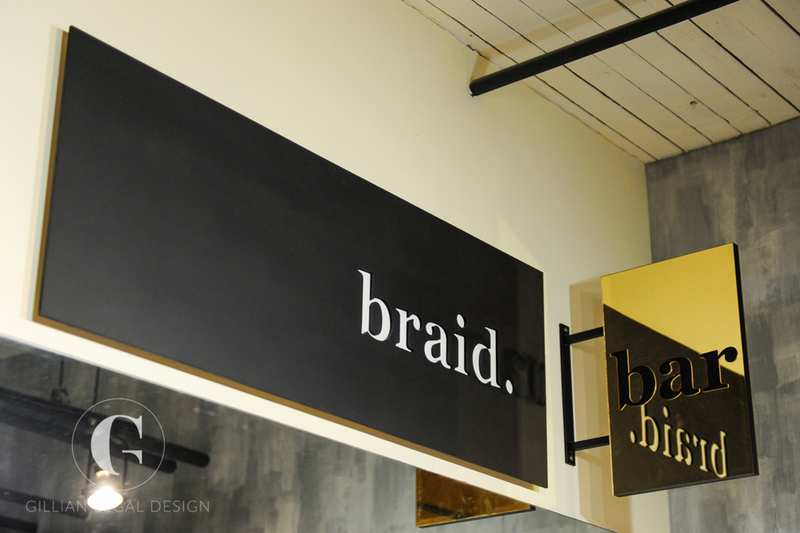 BRAID BAR — Gillian Segal Design Inc.
Blo-dry bars have evolved – meet the braid bar at in salon. We took the back-end of the salon and transformed it into it’s own unique space while still maintaining flow with the rest of the salon. Custom signage and wall and floor coverings help define the area and give it it’s own personality.